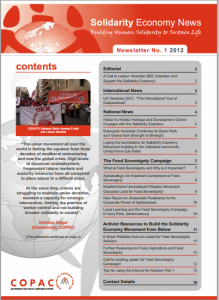 The SEM has been supporting the advancement of food sovereignty over the past 5 years. The SEM has created a website directory portal for cooperatives, local producers and markets to network and supply food to each other through solidarity and trade. Visit the website to find out more on how to register your organisational profile and products and start networking with other cooperatives and local markets. 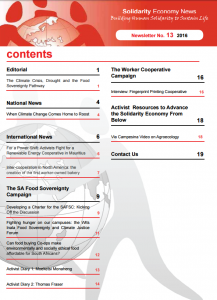 The key proposal of the Worker Cooperative Alternative Campaign is to focus on public policy demands for a national Worker Cooperative Act, build the campaign from below, link the worker cooperative campaign and food sovereignty campaign and mobilise resources to support solidarity economy cooperative fund mechanisms. COPAC has developed a host of materials to support such demands and can be used to build activist capacity around such demands. Such demands can be targeted at national, provincial and local government. 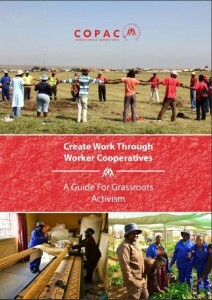 Worker Cooperative Alternative Campaign – Create Work Through Worker Cooperatives! At all times SEM activists and forces need to link these two campaigns on the ground. 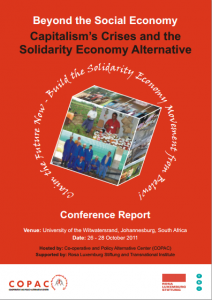 Develop methodology for Solidarity Economy Fund. Worker cooperatives need to contribute to the national fund in how they use loan finance from the fund National fund budget and finance mechanism be developed. 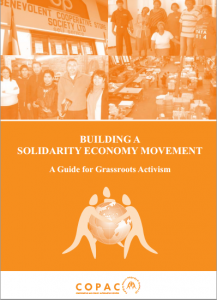 The Worker Cooperative Activist Guide explores the worker cooperative model more in depth and can help in guiding and training your members setting up your very own movement of worker cooperatives in your community.